Hey guys! I can't keep my excitement about a product I've been using for approximately a month now, the SK-II Facial Treatment Essence. It was generously given by my cousin who's based in Singapore and thanks to her I got to try it even for a short while. It came in this 30ml plastic bottle which I thought wouldn't last but I'm happy to say that it did last for a whole month after applying sparingly every night. As seen on the back label, its main ingredient is Galactomyces, a unique yeast strain. This strain undergoes fermentation yielding a metabolic product known as Pitera, SK-II's signature ingredient. Pitera is a clear liquid rich in vitamins, amino acids, minerals and organic acids that work together to dramatically improve skin translucency and smoothness. I opted to show you how small the sample is by putting it beside my Majolica Majorca Brow and Lash Colorist. Despite being tiny, it still lasted a while. 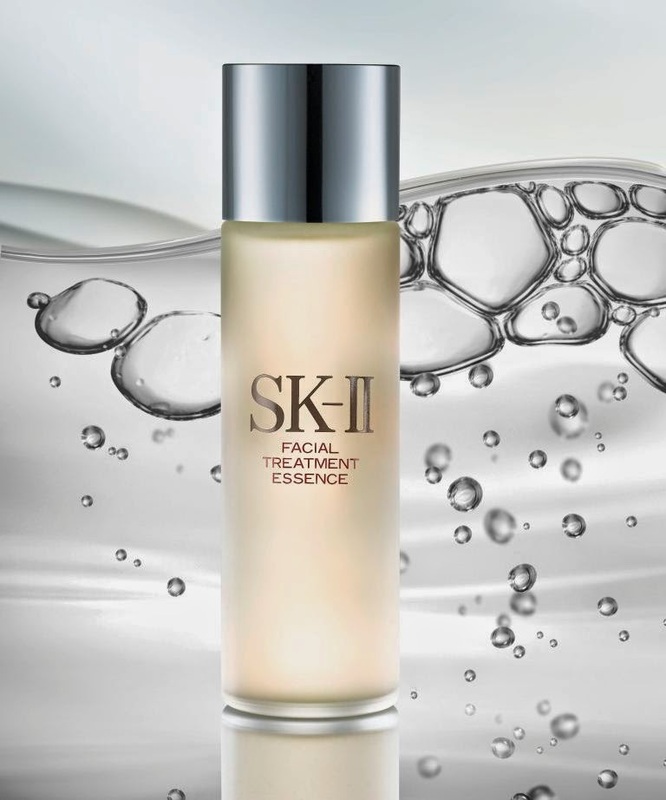 The SK-II Facial Treatment Essence is actually as clear and runny as water. It has a distinct scent that I find really refreshing. It doesn't sting even when used on active pimples. I love that it easily gets absorbed leaving my skin feeling supple and hydrated without looking greasy. I used this every night after cleansing my face and top it with my usual serum and moisturizer from the Shiseido White Lucent line. After a month of religious application, I am happy to say that my skin is smoother, looks more luminous and even toned. It didn't cause any untoward skin reactions like purging or visible peeling. The downsides are a few yet quite major. First is availability, SK-II products are hard to come by in Manila considering this is an Asian brand. As far as I know, they're only available in Duty Free and several online shops. Please do leave a comment below if you know other local places selling SK-II. Another thing that matters a lot is the hefty tag. The 75ml bottle of Facial Treatment Essence alone retails for Php 3,516 while the 215ml bottle is Php 8,275 in Luxola. If your budget allows you to get the 75ml bottle, might as well buy the Pitera Essence set instead for the same price that comes with samples of the Facial Treatment Clear Lotion (30ml) and Facial Treatment Mask (1-pc). Overall, I am in love with this product and I do recommend it to those of you who want an essence capable of improving your skin. Have you tried any of the SK-II products? Do share your thoughts on the comments section below. Thanks for reading and have a beautiful day!